We offer a broad product portfolio for the diagnosis, therapy and monitoring of respiratory diseases. For more than 110 years PARI has been offering suitable solutions for people suffering from respiratory diseases. 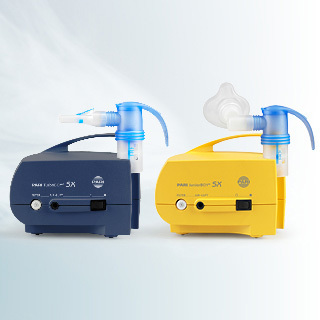 In addition to inhalation devices and nebulizers, products in the field of spirometry, inhalation aids for the easier application of sprays as well as salt-based inhalation solutions, inhaled antibiotics or supplementary therapy options are also part of our portfolio. Targeted and tailored to the different age groups and sites of action, our medical devices are effective aids for the diagnosis and therapy of a wide variety of clinical pictures and complaints. PARI products are always developed specifically for the different needs of our patients and are coordinated with each other. 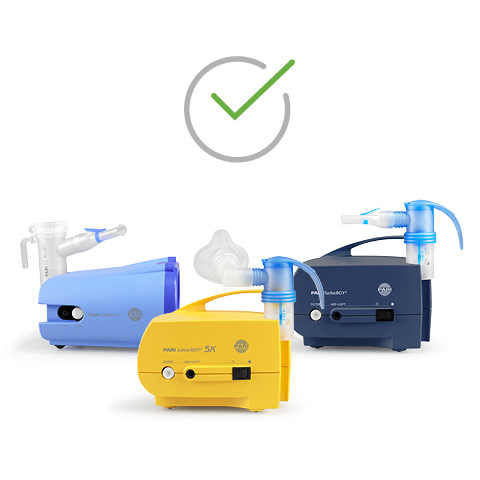 For the respiratory therapy and care of the lungs, we offer a particularly wide product range, tailored to the individual needs of our users. The practical Year Packs - our complete packages for the annual exchange. So your device grows too. The effective method to release stuck mucus in the bronchi. We have both isotonic and hypertonic saline solutions on offer. Which salt content is the right one depends entirely on the desired effect. Because initiating the coordination and inhaling at the same time is often a challenge when using sprays. Click here for our clinic packs, wall tap fittings and much more, for clinics and medical practices. Even if no inhalation device is available, PARI as a specialist offers additional options for the care and therapy of the respiratory tract. Reliable, robust and tailored to your needs. Every PARI BOY shows our quality standards. PARI stands for quality since 1906. We are a brand of trust and attach great importance to a proven effect.